New club members are welcome! 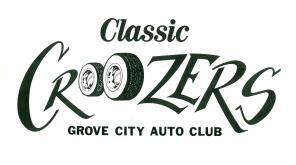 We are a nonprofit car club within Grove City. Our annual goal is to put on a Car Show and possibly a Poker Run each year, provided that we are physically and financially able to do so. All proceedsof Games of Chance (Chinese Auction or 50/50) shall be given as a donation to local charities. In the event that we find that we have extra money (i.e. money that we would not need to put on one of the shows), we will make additional charitable donations. These donations shall be made within the last quarter of the year, and they shall be a percentage of what money the budget committee feels we can donate.